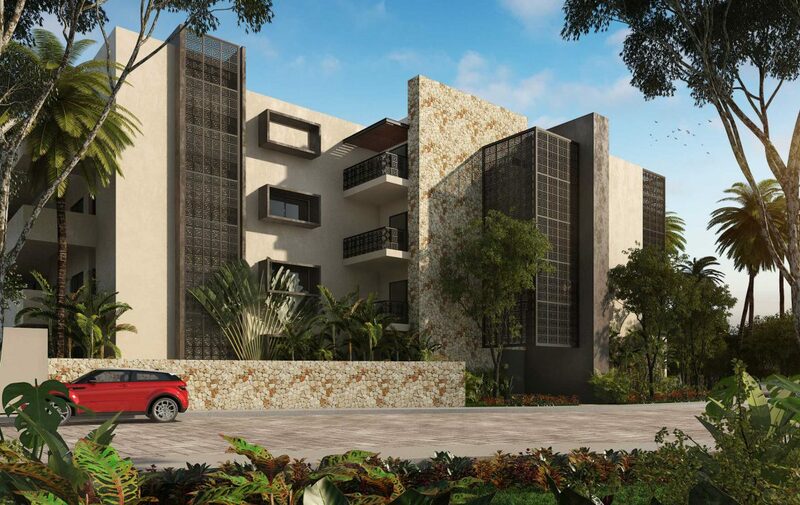 This exclusive development of the Paramar line proves once again the quality in its projects. 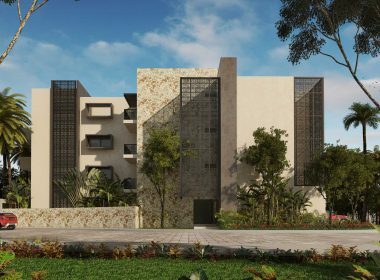 Consisting of 14 large luxury apartments of 1 and 2 bedrooms, and spectacular penthouses of 2 and 3 bedrooms with comfortable spaces. 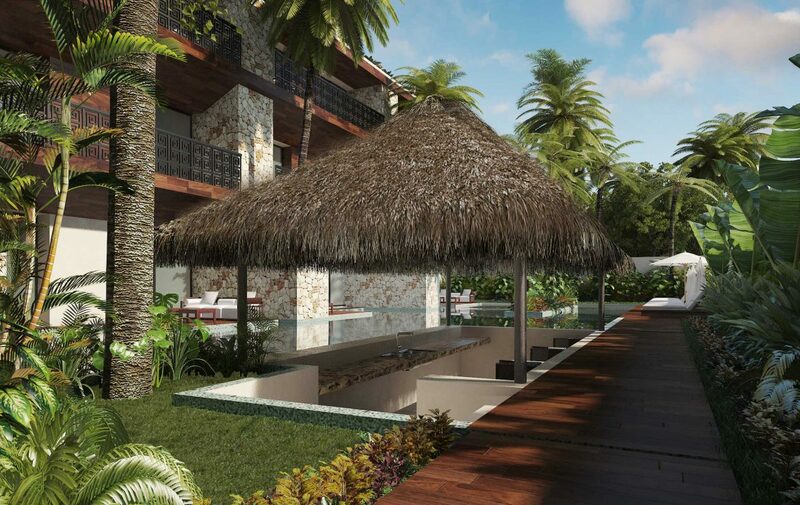 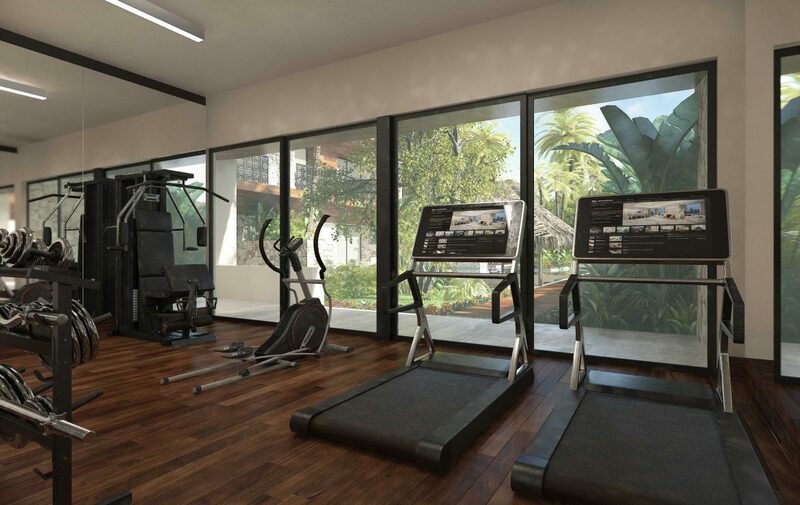 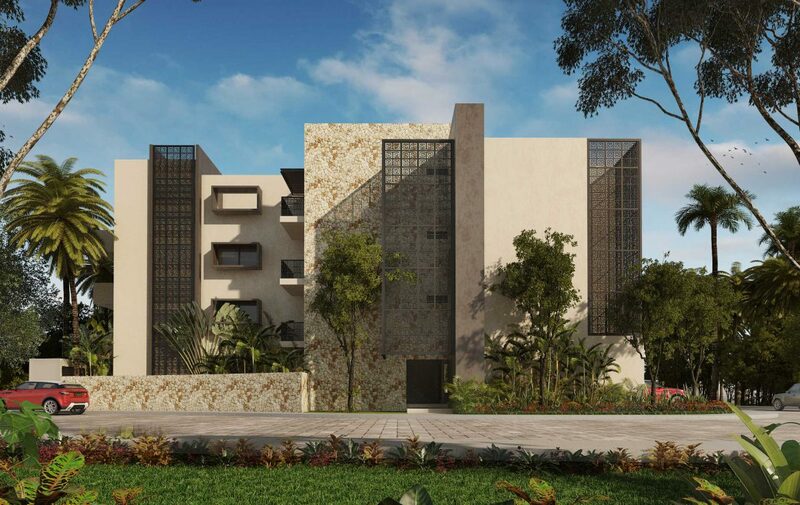 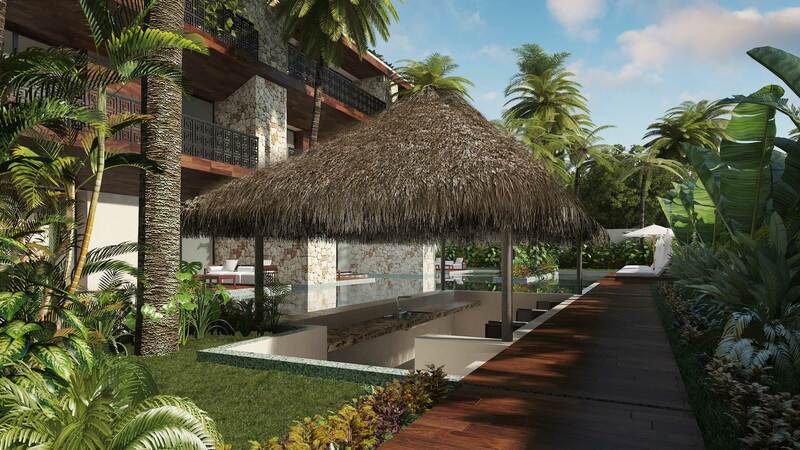 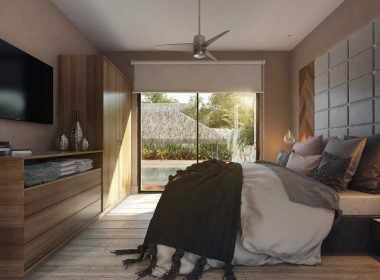 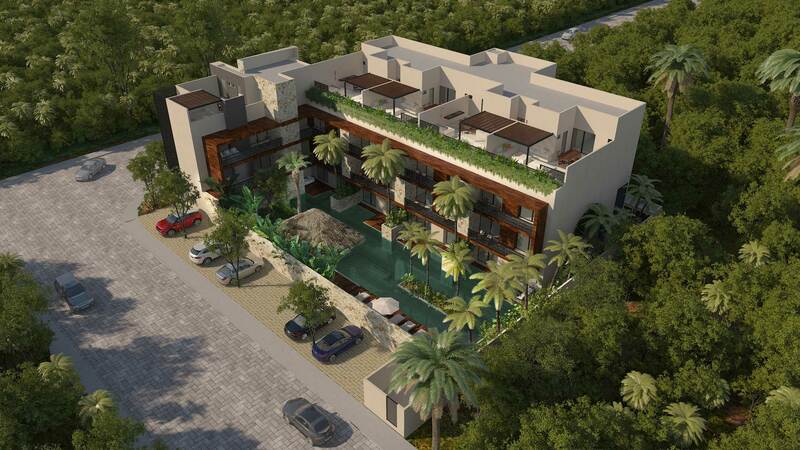 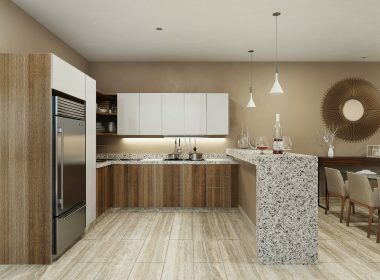 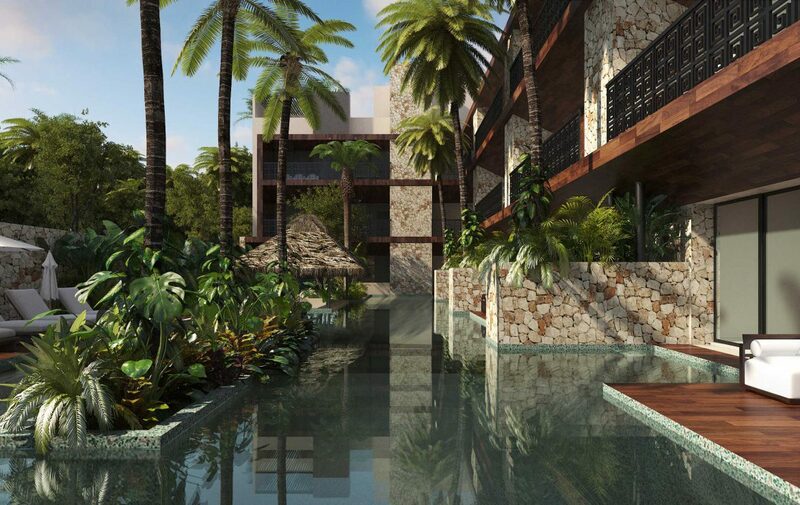 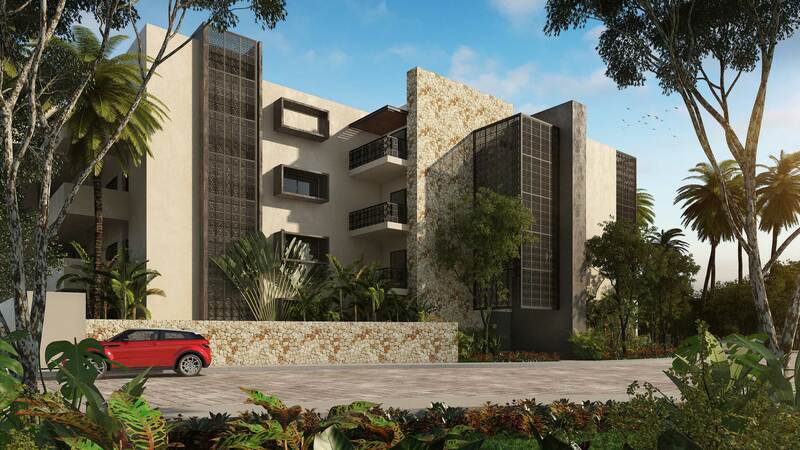 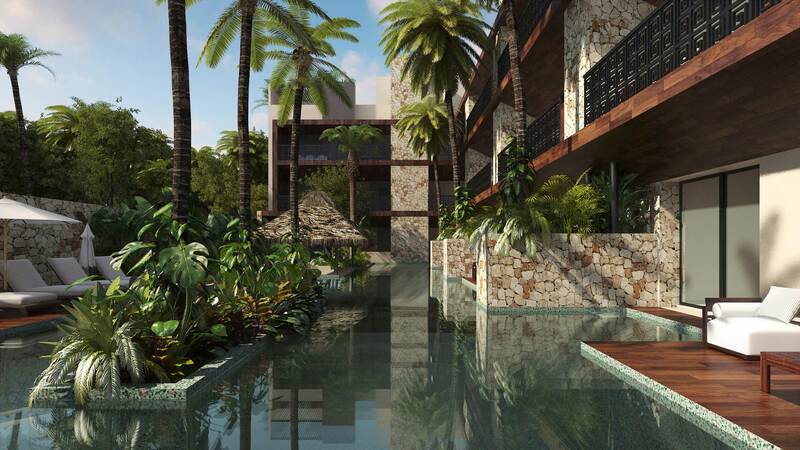  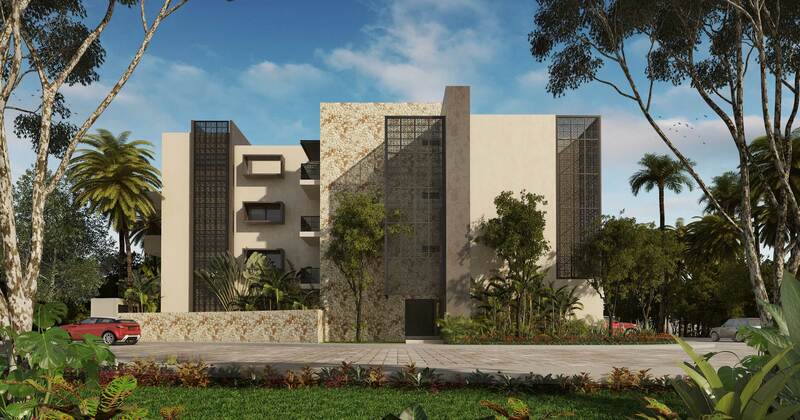 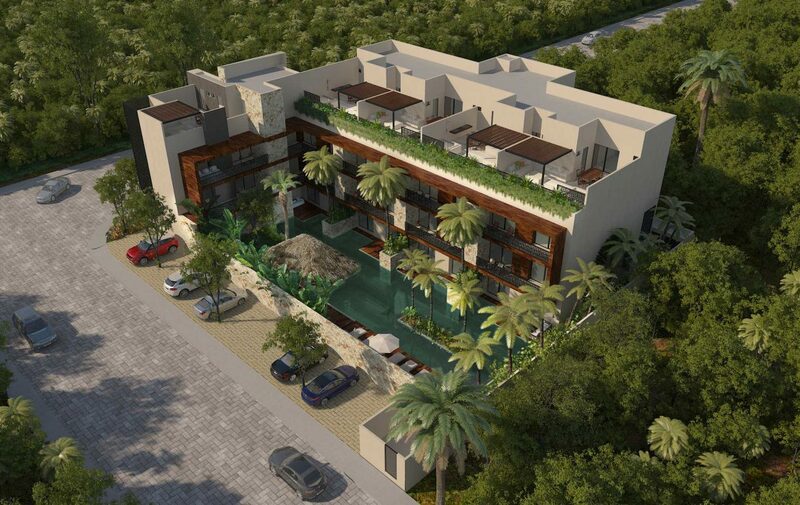 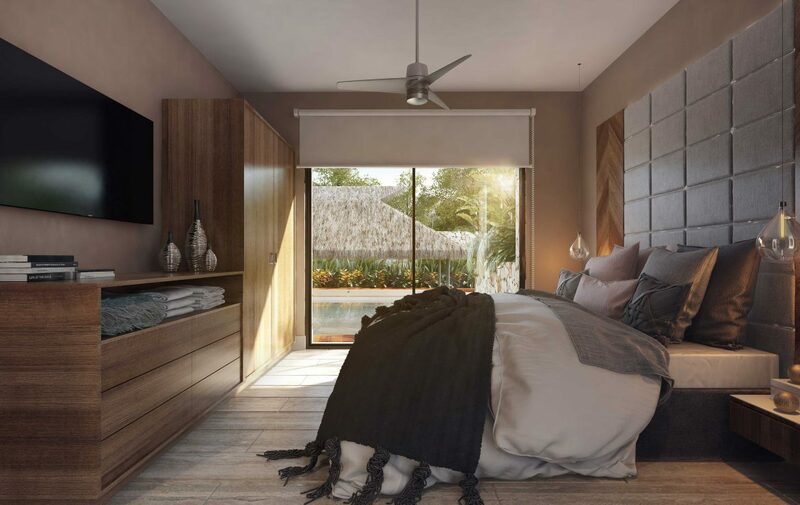 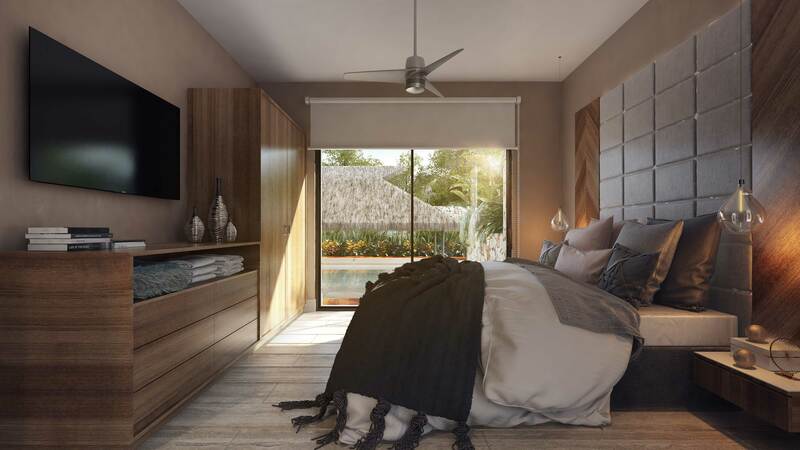 With an excellent location the development is situated in the growing area of ​​Aldea Zamá in the downtown of Tulum, with easy access to the indispensable services such as supermarkets, hospitals, restaurants and of course the best beaches in the area cataloged among the most beautiful international level. 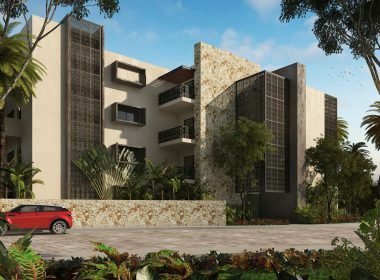 The modern building has storage warehouses available for each unit, parking spaces, private jacuzzi in certain apartments as well as an imposing swimming pool with jade tones of 35 meters long, which has given its name to the development, ideal for a relaxed afternoon in the Mexican Caribbean. 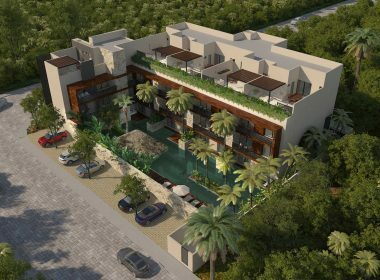 Paramar Jade is presented with a luxury boutique concept where each space is designed to create the perfect harmony to make you feel at home. 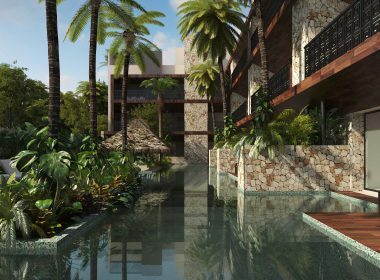 It is characterized by its sand colored finishes and its units with private Jacuzzi with direct swim up access to its captivating swimming pool. 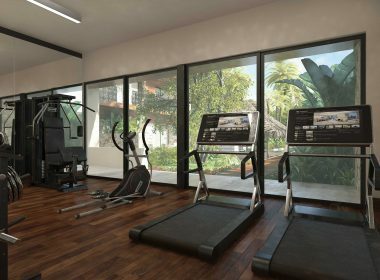 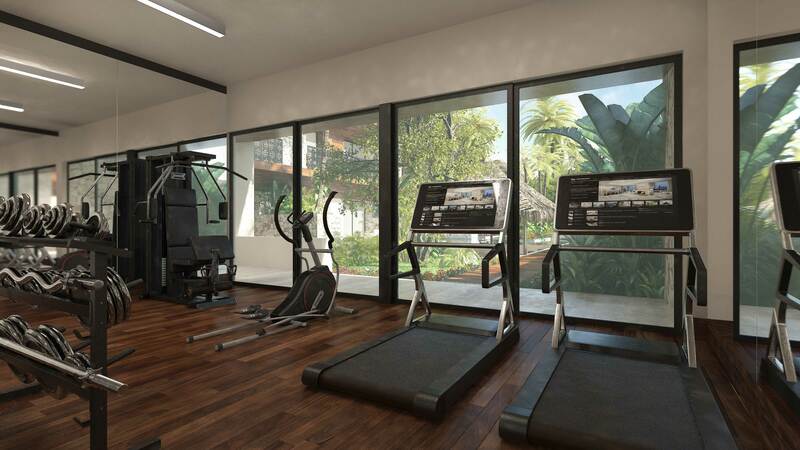 It offers first class services such as reception, 24-hour security, accompanied by a variety of amenities that complement our guests’ stay such as an elevator, social area, business center, gym, among others. 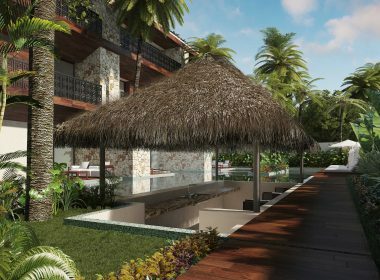 The great success of the previous projects of Paramar, position us into the market of vacation rentals securing high returns of investment in one of the main tourist destinations of the Riviera Maya as it is the paradise of Tulum. 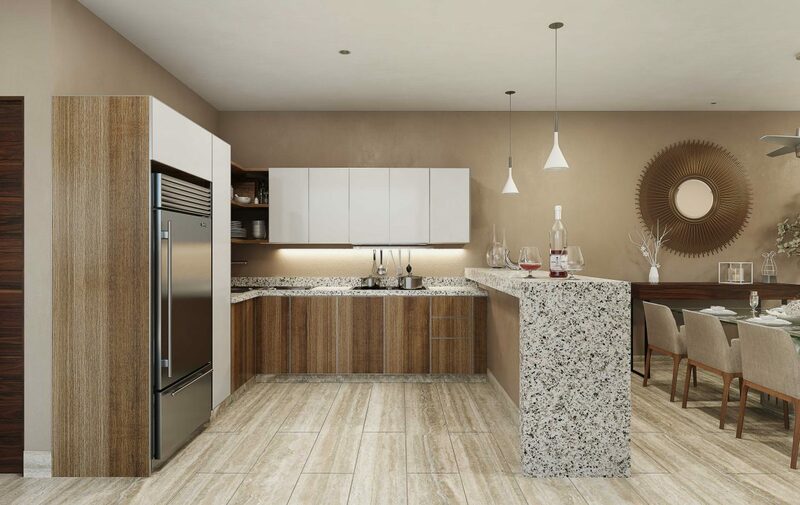 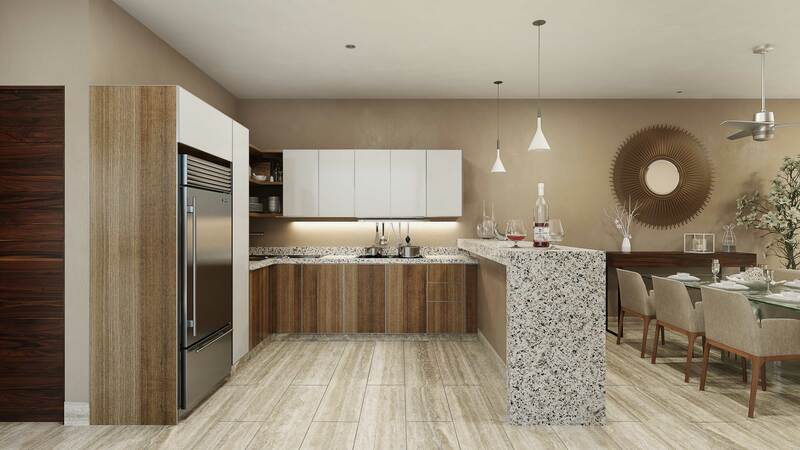 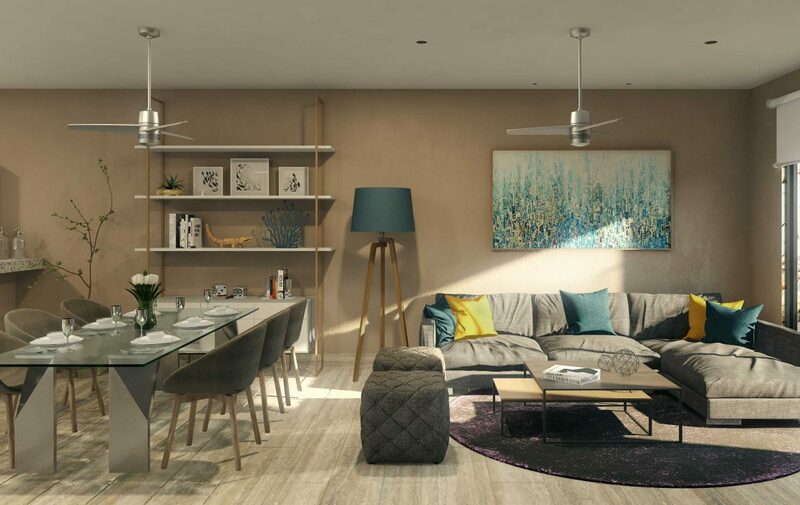 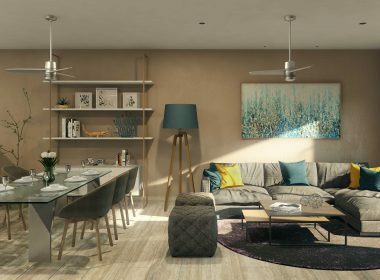 Additionally, each unit counts with a lock-off option, allowing a greater profitability in the property by creating two independent spaces with total privacy surrounded by luxury and comfort in a development of first level in every way.